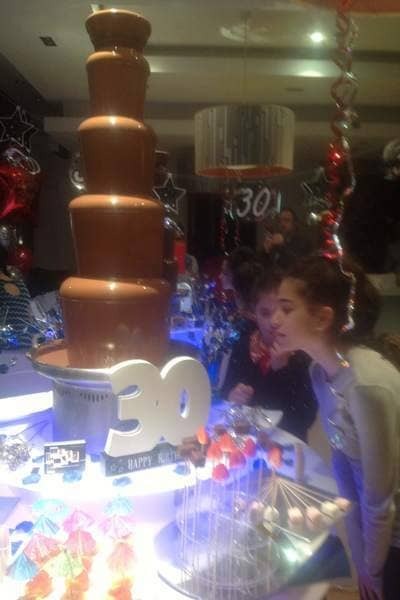 Chocolate Fountain Hire Surrey & Berkshire. Sometimes, you just do not need many words. A picture or even better still, a video says it all. Just take a look at the video further down! SELECT DARK OR WHITE CHOCOLATE- PICK YOUR DIPPINGS – ENDULGE! 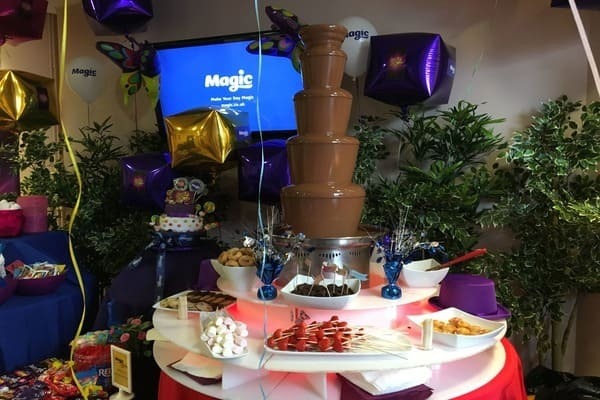 Whats included in our Chocolate Fountain Hire? FREE THEMING OF FOUNTAIN available for your event. SAVE MONEY when booked with other services ranging from Ice Cream Carts to Photo Booths to Close up Magicians! 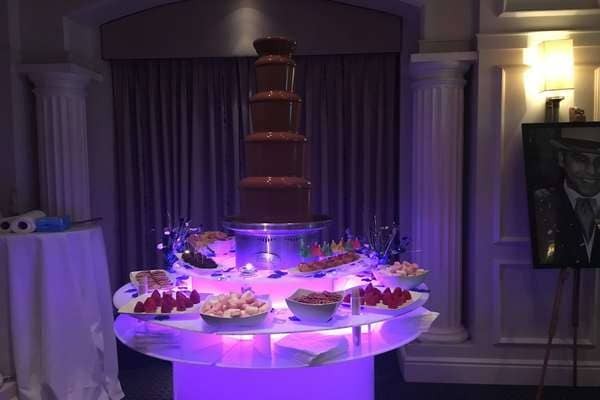 We will provide you with only the finest unlimited Belgium chocolate on every fountain hire experience, regardless of size. Our chocolate will melt in your mouth…. Chocoholics will simply love it. our promise to you is that it will provide a smooth warm belgium enticing aroma at your special event. Standard warm yummy flavours include : Milk chocolate, Dark chocolate and White Chocolate. If you cannot decide on your favourite, why not hire all three? 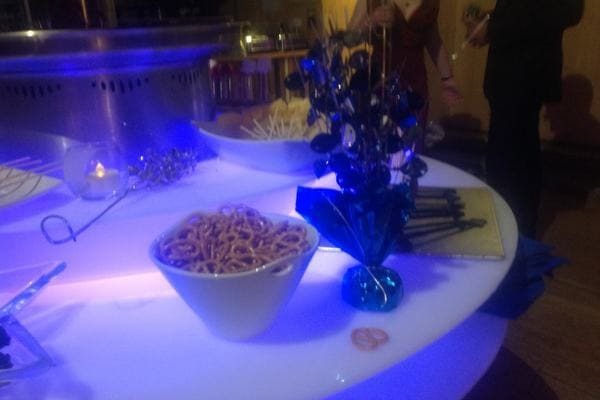 This will surely be an occasion with a difference and WOW how fantastic would this look at your event…. For the real WOW factor why not treat you and your guests to double the fun with our DOUBLE hire package. 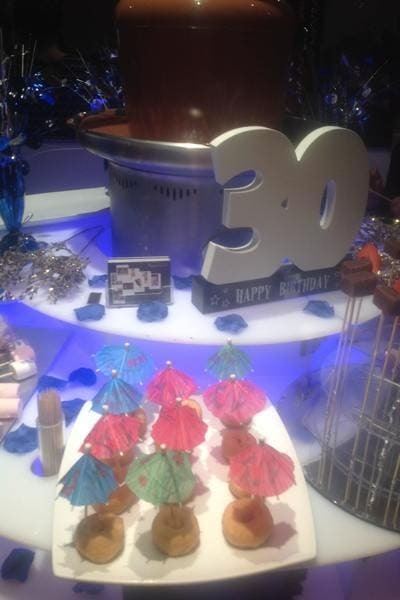 You will receive two fountains beautifully dressed serving two different flavours of chocolates. You can choose your chocolate colour from Milk, Dark, White or caramel………. We are even happy to colour co-ordinate your chocolate to match your theme. Please contact us for your personalised quote. We are very happy to attend events for more than 350 guests. Please contact us for a personalised quotation. When you book with us you have the assurance that you are receiving reliable professional service, fresh quality ingredients and high quality equipment. “mmm ….. Naughty but nice “. Our luxurious chocolate fountain experience will wow you and your guests with hours of interactive entertainment and pleasure all in one. 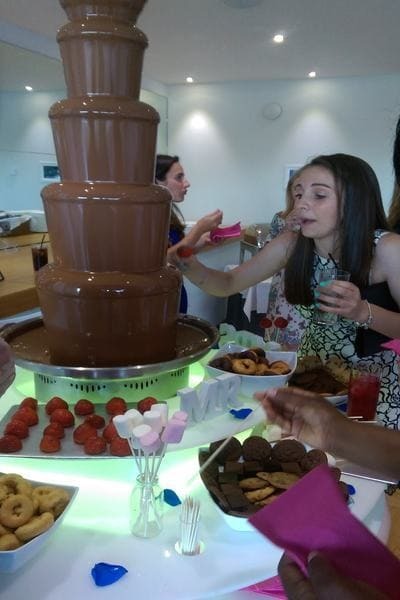 The most popular way to serve a chocolate fountain, is as an alternative dessert option at any event where you would like to add that special memorable touch. 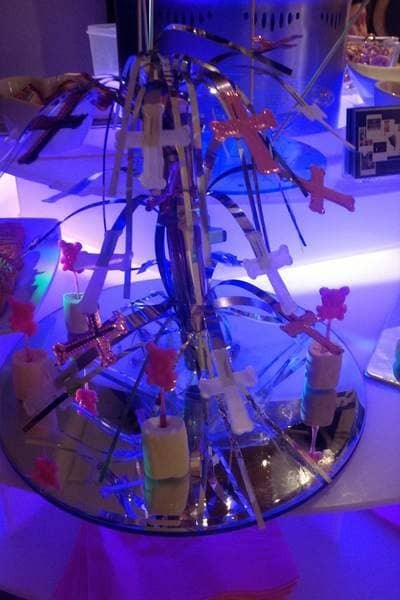 The chocolate fountain display can be dressed with lights and decoration to suit the colour theme of your event. Our larger fountains are supplied with a tier surround / illuminated base. The dressed fountains look beautiful at weddings/ parties and corporate events. In fact this would be a real “hit” at any event where you would like to take your guests/clients into a journey of “chocolate heaven”…. Our treats are all locally sourced and prepared on the day of your event, to ensure you receive only the finest and fresh dipping treats. 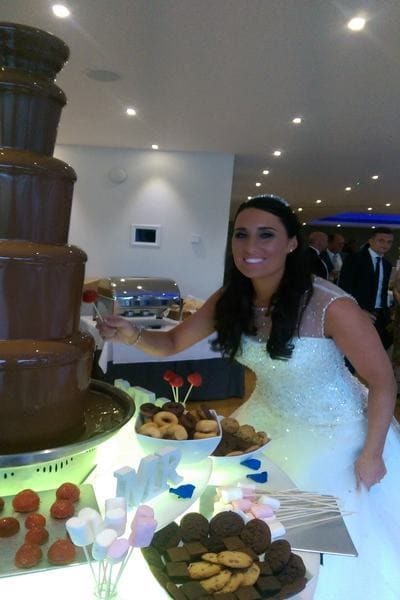 All our chocolate fountain hire packages includes a lovely selection of exotic most popular fresh fruits and dips. They are all displayed beautifully and tastefully around the fountain. 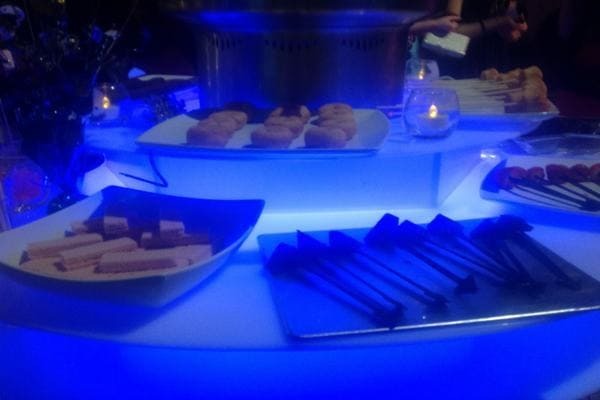 As standard skewers and napkins are also provided. Should you require any additional dippings that are not listed in our flavours section please do ask as we are always happy to oblige. Our service is totally flexible to meet your requirements. We are also very happy to cater for any special dietary requirements. See a video now of us in action!